Unified heavyweight champion Anthony Joshua is coming to America for his next fight. Anthony Joshua (22-0, 21 KOs) has fought his entire career in his native United Kingdom, but he’ll be heading to the United States for his next bout. Unified heavyweight champion Anthony Joshua is coming to America for his next fight. Anthony Joshua (22-0, 21 KOs) has fought his entire career in his native United Kingdom, but he’ll be heading to the United States for his next bout. The reigning WBO, WBA, and IBF heavyweight champion will take on Jarrell Miller (23-0-1 NC, 20 KOs) at Madison Square Garden in New York City on Saturday, June 1st. Ring Magazine and ESPN have both reported that an announcement is imminent, and that terms have been agreed to. This Matchroom Boxing USA card will be streamed live on DAZN, whose executive chairman John Skipper reportedly “lobbied aggressively for Joshua to make his U.S. debut,” according to Ring Magazine’s Mike Coppinger. DAZN is also broadcasting Canelo Alvarez vs. Daniel Jacobs on May 4th, meaning they’ll have two major boxing events involving two of the sport’s biggest stars over the span of a month. Joshua is coming off a knockout win over Alexander Povetkin at Wembley Stadium last September, in what was DAZN’s first major event after launching in the US that same month. 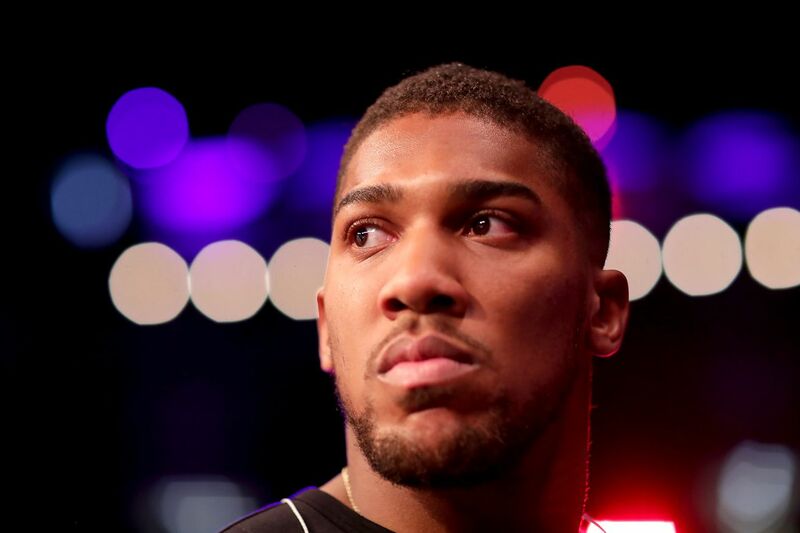 He was slated to return April 13th at Wembley Stadium, but apparently Wembley officials were only interested in Joshua fighting one of Deontay Wilder, Tyson Fury, or a rematch with Dillian Whyte, who has won nine straight since his TKO defeat to Joshua in 2015. The Whyte rematch was by far the most likely to get made, but talks broke down and a deal was never made. The 29-year-old is best known for his classic 11th round TKO over Wladimir Klitschko in April 2017. He’s since followed with a TKO of Carlos Takam, a decision over then-WBO champion Joseph Parker, and the aforementioned KO of Povetkin. Miller is a New York native who’s a larger than life personality, and certainly a large human being. “Big Baby” has weighed over 300 lbs in each of his last three fights, including an absurd 317 lbs two bouts ago. Miller has got three wins over former heavyweight title challengers, including stoppages against Mariusz Wach and Gerald Washington, as well as last year’s 12-round decision over Johann Duhaupas. The 30-year-old KO’d the very faded Tomasz Adamek in October, then had a quick turnaround and stopped the unbeaten Bogdan Dinu in November. He’s also a high-volume puncher, averaging about 60 thrown per round, but he is not exactly difficult to hit. All that said, he’s yet to prove himself against the upper echelon of the division, so while he’s widely considered a top-10 heavyweight, this is a major step up in competition that’ll tell us how good he actually is. Believe it or not, Miller has loose ties to MMA through his kickboxing career. A much slimmer Miller actually beat Pat Barry in 2008 in World Combat League, and in the professional ranks stopped former UFC heavyweight Jack May by first-round KO in the 2012 K-1 World Grand Prix. He would go on to lose a decision in the quarterfinals to Mirko Cro Cop, and then again in a Glory kickboxing rematch in 2014. Miller is fully focused on boxing, and over the last few years has risen up the ranks, but he is undoubtedly (and understandably) going to be a big underdog coming into this one. Looking at the bigger picture at heavyweight, while not finalized, it is expected that a rematch between Deontay Wilder (40-0-1, 39 KOs) and Tyson Fury (27-0-1, 19 KOs) will take place at Barclays Center on May 18th. There is much demand for one of Wilder or Fury to face Joshua, and if Joshua prevails and we get a winner out of Wilder vs. Fury, calls for Joshua vs. Wilder/Fury to be made for late 2019 will grow even louder.